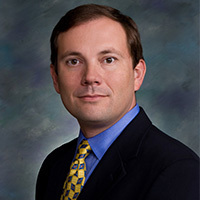 C. Alfred Mackenzie attended Baylor University, where he received the Bachelor of Arts (1987), Master of Arts (1988), and Juris Doctor (1991) degrees. In 2012, he also earned the Master of Laws (LLM) degree from the University of Glasgow. He has previously taught legal writing, federal courts, and appellate procedure as an adjunct instructor for the Baylor University School of Law. Mackenzie was admitted to the State Bar of Texas in 1991, and is also admitted to practice before the United States District Court for the Western District of Texas, the Fifth Circuit Court of Appeals, and the United States Supreme Court. He is board certified in civil appellate law and is engaged primarily in the practice of civil appellate law. From 1991 to 1994, Mackenzie served as a briefing and research attorney for Justice Bobby L. Cummings of the Tenth Court of Appeals in Waco, Texas. He has also served as a grader for the Texas Board of Law Examiners. He has served on the Appellate Section Council of the State Bar of Texas (2001-2004) and as an appointed member of the Civil Appellate Law Advisory Commission of the Texas Board of Legal Specialization (1999-2005). In 1999, Mackenzie was recognized as the Outstanding Young Lawyer by the Waco-McLennan County Young Lawyers Association, and served as that organization's president in 2000-2001. He also served on the Organizing Committee for and later as Secretary-Treasurer of the Judge Abner V. McCall American Inn of Court (2000-2002). Mackenzie was a member of the Leadership Waco Class of 1998 and subsequently served on the Curriculum Committee and the Board of Directors of the Leadership Waco Alumni Association (1998-2001). Most recently, he served as the Committee Chair for Boy Scout Troop Pack 497. He is an active member and deacon of the First Baptist Church, Waco, where he has taught Sunday School for adults, youth and children.